Are you fed up with your flaky skin and up for a change? Then you ought to try Jumpstart, the stimulating body scrub from Origins. It`s intensely invigorating and waking up your senses, especially in those mornings when you feel like you wouldn`t get out of bed for the world. This scrub is a cocktail of ylang ylang, lavender, geranium oil and cinnamon. All ready to boost your senses. 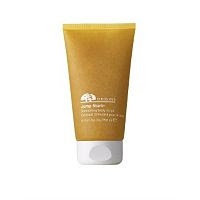 The gentle cleansers and apricot seeds help polish your skin, while adding luminosity. Skin becomes soft and renewed. It`s so gentle that you could use it daily.